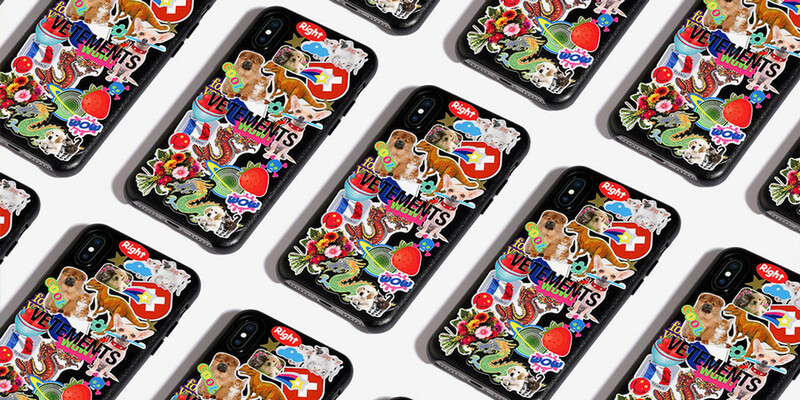 Following a capsule with DHL, CASETiFY recently teamed up with Vetements on a sticker-covered Apple iPhone case. Available for iPhone XS Max, XS, X, 8 Plus and 8, the protective vegan leather cases come decorated with an array of graphic stickers applied in a haphazard manner. Lacking any real theme, the case features stickers that express dragons, dogs, strawberries, flowers and more. Additional detailing comes from an eye-catching glossy finish that accents an embossed “VETEMENTS” logo found at the center of the case. Priced at $250 USD, the Vetements x CASETiFY Sticker Apple iPhone Case is available now at select retailers. For more contemporary fashion, Prada Linea Rossa recently released a set of colorful goggle eyewear.